We can offer you a jumbo mortgage loan in New York & Pennsylvania at a competitive rate, whether you are looking to purchase a beachfront home in East Hampton, an estate in Westchester County, or a lux penthouse in Philadelphia. At Artisan Mortgage Company, we have a long history of helping individuals finance a home that requires a jumbo mortgage loan in New York & Pennsylvania, which is an amount exceeding $484,350 for a single family loan in most counties 2019 - an increase of 6.9% from 2018. Jumbo loan limits in New York & Pennsylvania 2019 for more expensive markets, such as New York City, Nassau and Suffolk County, are above $726,525. Call Artisan Mortgage today for more information about this program at 800-499-0141, fill out short form on page or prequalify here to get started. Jumbo mortgage loan amounts in New York & Pennsylvania can be as high as $1.5 million. These mortgages may be either fixed rate of fixed period ARMs, and the interest rate tends to be a bit higher than a conventional loan. An interest only jumbo loan from Artisan allows you to pay interest only for a specified period of time. After the interest only period, the mortgage becomes a fully amortizing loan based upon the remaining term. The lower initial payment allows you to quality for a larger mortgage amount or enables you to use those available funds as you please. People have dreams... dreams that require financial assistance to make them happen. Artisan Mortgage has helped many customers to realize their dreams by simply understanding their needs and their qualifications. After all, that's what being a local community broker is all about. Being local in the lending process also means providing quick decisions at the most competitive rates and terms. So, let us help you financing your dream condo with jumbo mortgage in New York & Pennsylvania. You'll be glad you did. 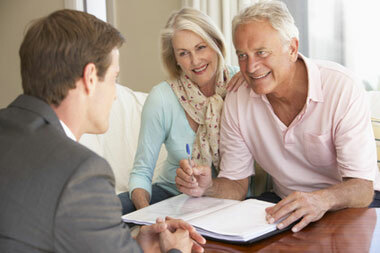 We will provide you with loan products, competitive rates, and fast professional services on which you can depend. At Artisan, we take a personal approach to finding a home loan to suit your individual needs. Whether you’re in Buffalo, Pittsburgh or Long Island, we can help you with jumbo mortgage loan in New York & Pennsylvania today. We understand business and we know that your needs won’t be found in a bank policy. Therefore, we want to customize a program that provides your solutions. We specialize in prompt, straight-forward, easy to understand answers. A finance relationship is a valuable relationship and we take this seriously. We make our own decisions, right here, and we take the time to get to know our customers. Start your online application now or call our loan officers today at 1-800-499-0141 to learn more and get approved for a jumbo mortgage loan in New York & Pennsylvania, and start enjoying your new home in Long Island, Queens, Brooklyn, Staten Island, Bronx, and Manhattan, NY.